P.S. Ooh, leftovers in a wrap with a big splodge of hummus! Mmmmm! 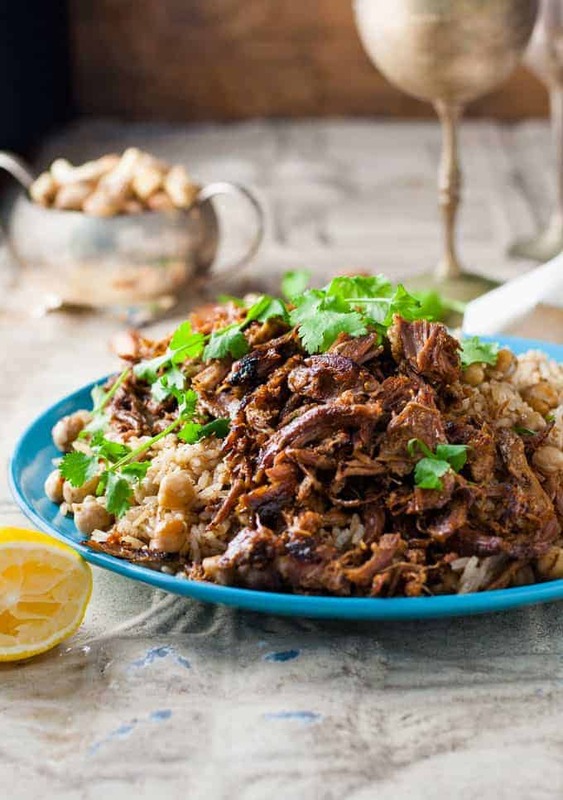 I LOVE Middle Eastern food and this lamb and chickpea pilaf makes me swoon with delight. Yummo. I definitely don’t think you cook too much of this stuff. Keep it coming. I gotta say the lamb looks amazing but the riceeeee! OMG, the rice! (Can you tell I’m a rice girl? Well, I’m Brazilian after all!). I really need to make this! Thanks David! YES, I’m glad I finally figured out who “David” is!!! He he!! 🙂 I notice we have some mutual friends too 🙂 Thanks for popping by! Never cooked lamb before but this looks absolutely delicious! 1 word: stunning! 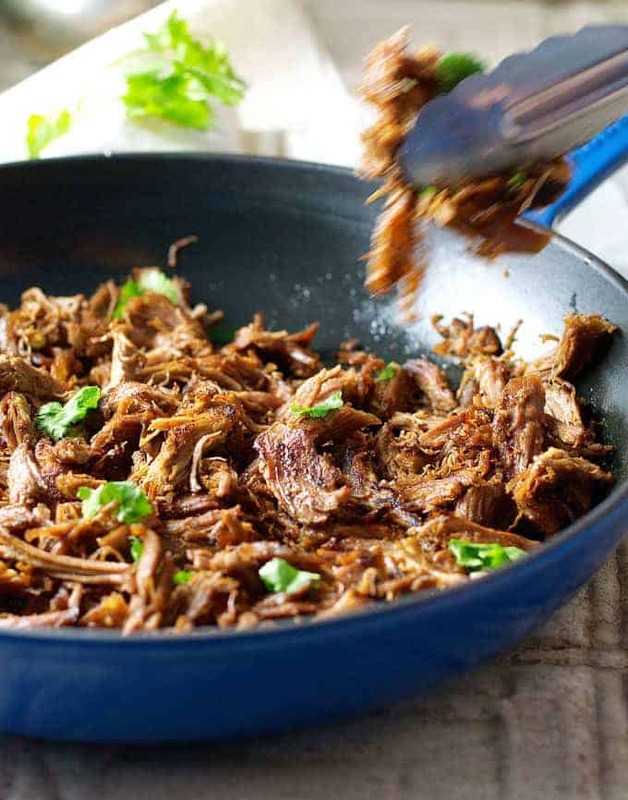 I was planning to write a pulled pork recipe for my little blog, and you’ve completely inspired me to get on with it! Love the flavours you’ve gone for, and as always, your food styling is perfect! Hahahah! You just remembered that you have an entire Middle Eastern recipes collection on your blog?! I think about it all the time! This looks incredible, my friend! 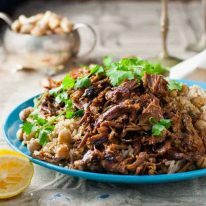 I lived in the Middle East and grew to love the food and flavorings and Nagi – that spice mix has my mouth watering! Nagi, what a small world – I was practically your neighbor! I lived in Abu Dhabi for most of my teen years! Absolutely beautiful Nagi!! I too ADORE Middle Eastern food 🙂 I used to stalk restaurant owners of my fave Middle Eastern restaurants and make them give up their recipes 🙂 Usually it didn’t go as planned so I played and researched until I got it JUUUUST right 🙂 Bravo! This looks fabulous! 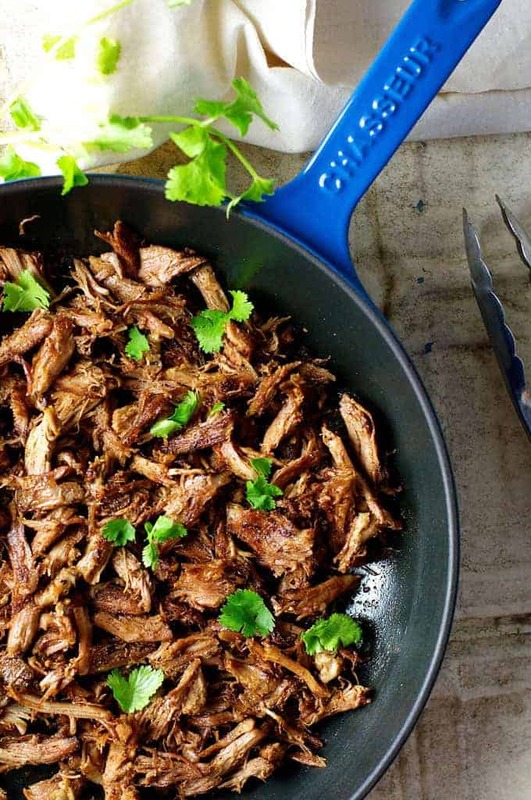 It’s like Mexican carnitas! 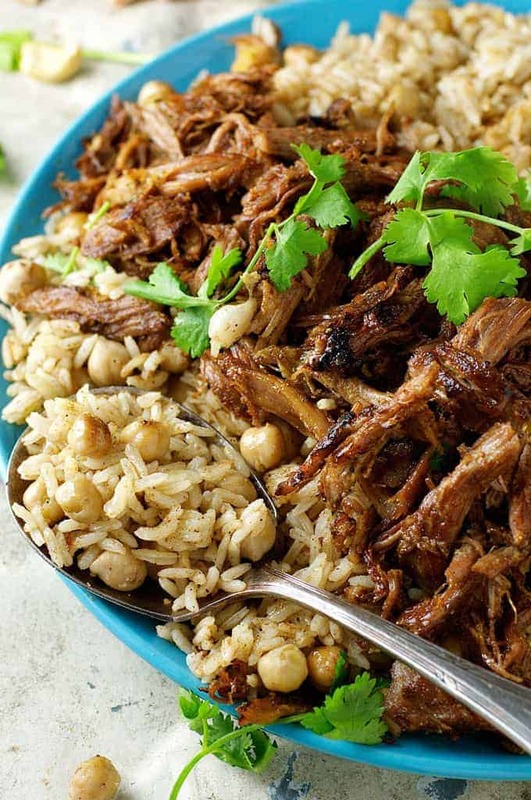 LOVE, LOVE, LOVE Middle Eastern food and this lamb and rice dish looks like a beauty! Hi Nagi! This looks so good! 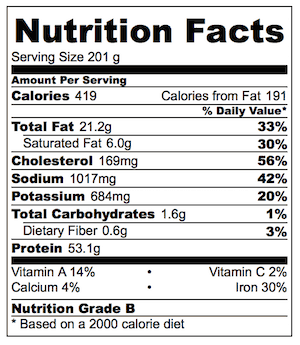 I love lamb and I buy it whenever my market has it (mostly they have leg of lamb or chops). 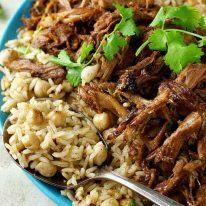 Whenever I do a leg of lamb there is always a dispute on what to do with the leftovers – my husband always wants lamb curry and for me it’s lamb stew. That rice could be a meal by itself! Hi Nagi! It is never wrong to eat what you crave for breakfast or dinner! I think the rice would be perfect for a stir fry – just add some whisked eggs, green onions and BACON! 🙂 My body always tells me what it needs, i.e. 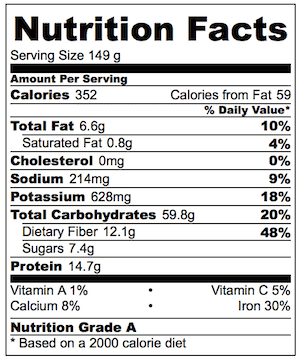 veggies, carbs, meat…just eat what you want! OOOH YES! I can totally imagine it! It would be like a Middle Eastern Fried Rice with Bacon!! That would be delicious….plus you could toss in chopped up greens too. Hidden greens!!! He he! Hi Nagi! Your comments always make me smile! Thank you my long distance friend! The recipe sounds pretty authentic to me Nagi! Great recipe, need to try it! I love lamb meat!